This work celebrates the Dada artists of the early 20th century. 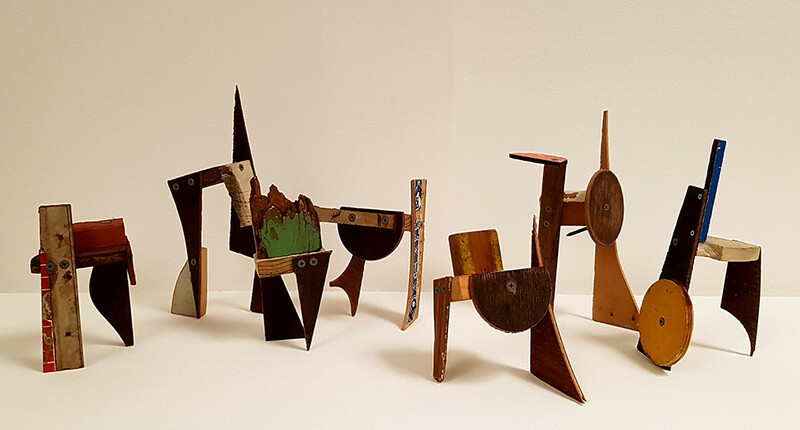 Each figure represents one of the pioneering artists from Dada. Just over 100 years ago in Zurich, Switzerland, the Cabaret Voltaire unleashed a new way of thinking, a place of refuge. A philosophical state of mind rather than an art movement, this cabaret was to begin a chain of events that would challenge and inspire countless generations of artists. These sculptural figures pay respect to seven of the artists of the time. Brisbane based artist Karl de Waal’s artistic practise is a commentary on his experience of watching the world trying to make sense of its paradoxes and ironies. His work attempts to expose the distance between what we see and know, and the tenuous connections and links that help construct our personal realities and identities. In an age where the bulimic consumption of experience and knowledge saturates our very being, his work seeks to remind us all of the fundamentals and fragilities of what makes us human. 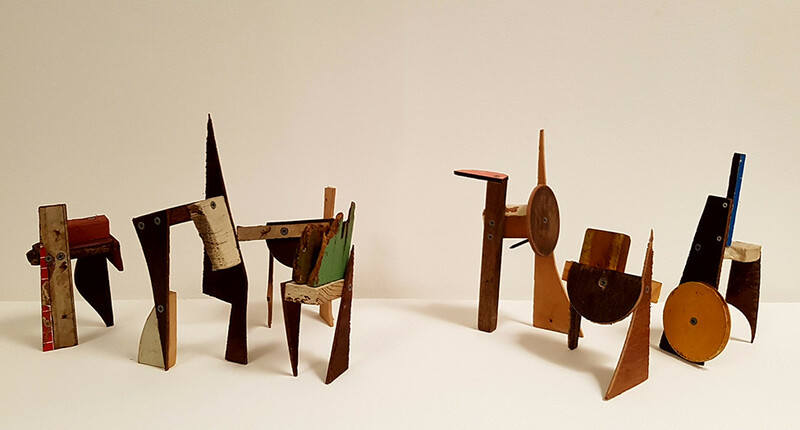 Karl has been extensively exhibited including the Wynne Prize, Art Gallery of New South Wales; Sculpture by the Sea, Sydney; Coffs Harbour Regional Gallery, NSW; Swell Sculpture Festival, Currumbin; and Bundaberg Regional Art Gallery, Queensland.